The Countryman is the most practical member of the Mini family. With the largest cargo area, highest ground clearance and most interior space, it's the Mini that's most ideal for those looking for a small SUV. However, it is still a Mini at heart, so along with that practicality come serious doses of driving fun, whimsical attitude, and iconic style. My Mini Cooper is magnificent for its reliability and tight handling. 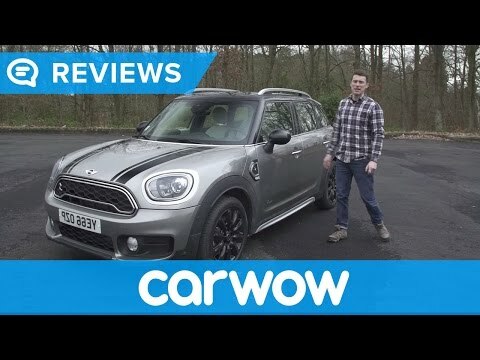 I love driving my Mini Cooper countryman and I am a loyal Mini Cooper customer! The car is reliable, has quick pick up, and never lets me down. The features that have made me become a loyal Mini Cooper fan is that this car is great on gas, provides great head room, and I love all the fancy electronic features and lights that other cars do not have. It is also a great conversation piece as I am always running into someone who inquires about my vehicle. mini cooper is a great car for the young at heart individuals. Driving a mini, even the bigger models, is like driving a go-cart. It is probably the most fun you will have driving a car. The countrymen is a great compromise of a small compact car and a sedan. The back seat has ample leg room. There’s not that many cup holders in the whole car which is very important. Overall how unique this vehicle is compared to other makes. I have had my mini for over 1 year now and so far so good. No problems yet. All features are great. I love that all mini models come equipped with such great extra features without jeopardizing the model so much. You do not have to spend a lot to have leather seats, sunroofs etc. BMW of North America, LLC (BMW) is recalling certain 2017-2019 MINI Cooper Countryman vehicles. These vehicles may be missing a crash protection plate near the high pressure fuel pump, which may result in a fuel leak in the event of a crash. Without the crash protection plate, in the event of a crash, the fuel pump can become damaged, causing a fuel leak and increasing the risk of a fire. MINI will notify owners, and dealers will install a crash protection plate, free of charge. Interim owner notification letters were mailed on October 22, 2018. Owners will receive a second notification when the repair is available. Owners may contact MINI customer service at 1-866-825-1525.